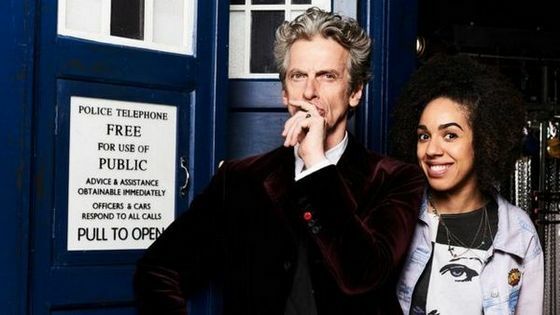 The actress Pearl Mackie has been revealed as the new companion for Doctor Who. The announcement was made in a preview clip broadcast during half-time at the FA Cup semi-final between Everton and Manchester United, shown on BBC1 on Saturday. Mackie will be the Doctor’s 41st companion, and the 10th since the show was rebooted in 2005 – give or take (fans are divided on the official status of several characters who travelled only briefly with the Doctor). Mackie, who will play a character called Bill, takes over from Jenna Coleman to star alongside the current Doctor, Peter Capaldi. She will make her debut at the beginning of the show’s next season in 2017. On joining the cast in her first major television role, Mackie said: “I’m incredibly excited to be joining the Doctor Who family. It’s such an extraordinary British institution – I couldn’t be prouder to call the Tardis my home. I can’t wait to see what adventures are in store for him and Bill throughout time and space. “Reading the script at the audition, I thought Bill was wicked. Fantastically written, cool, strong, sharp, a little bit vulnerable, with a bit of geekiness thrown in.” The actress described shooting the trailer as “absolutely mental”. Among the other actors who had been speculated to take the role were Coronation Street’s Michelle Keegan, and Maisie Williams, star of Game of Thrones and a guest star in the last season of the sci-fi show. In January, Steven Moffat revealed that he was stepping down as the lead writer and executive producer of the show. He will be replaced by Broadchurch creator Chris Chibnall, who will start work as executive producer in 2018. Series 10 is to be Moffat’s last.